CW-20 tyres from Nankang are the perfect choice for your van as they have a high resistance to wear and if you are transporting heavy loads often, this can prevent irregular wear from occurring. 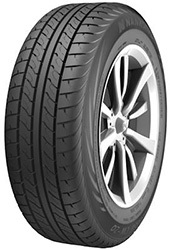 Great wet and dry weather running are qualities of CW-20 tyres and you can get great results on every journey with excellent traction, steering and stability in all conditions. For the best performance and long lasting tyres you can rely on, choose Nankang CW-20’s.